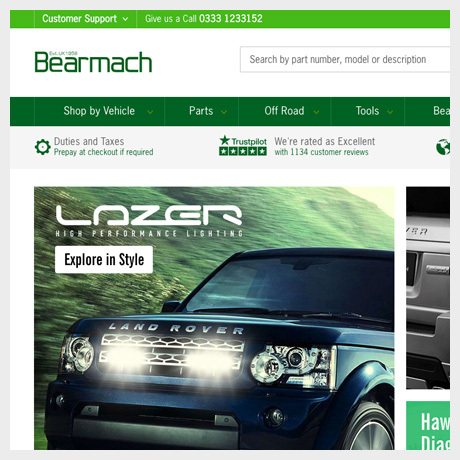 Ensuring a smooth ride into the world of eCommerce, we worked with Bearmach on creating an on brand, competitive website, that would put them ahead of their competitors. 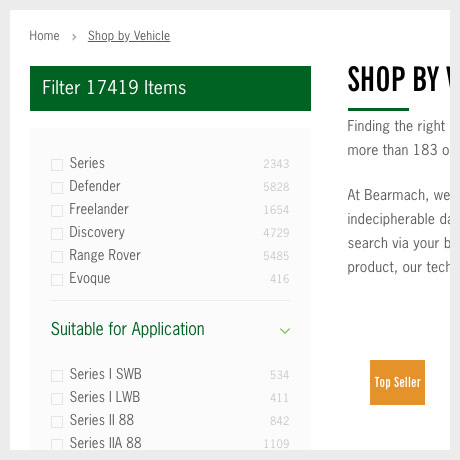 With 60 years of unrivaled quality and experience, Bearmach are a market leader in selling Land Rover parts and accessories. 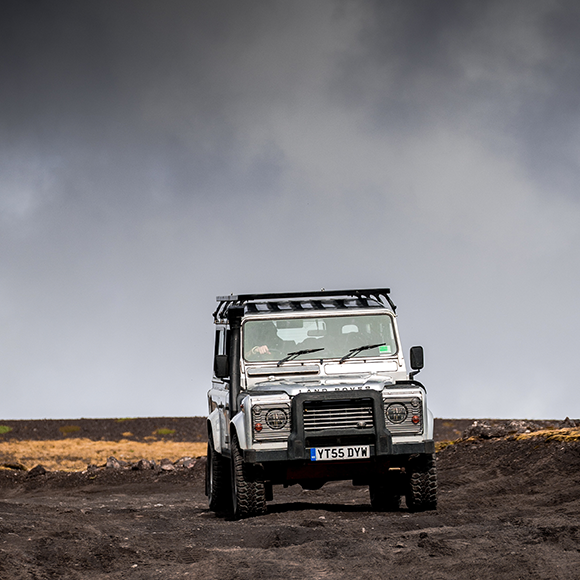 With 330,000 parts sold each month to over 140 countries, Bearmach are continually developing new products to ensure Land Rover stays on the road for years to come. 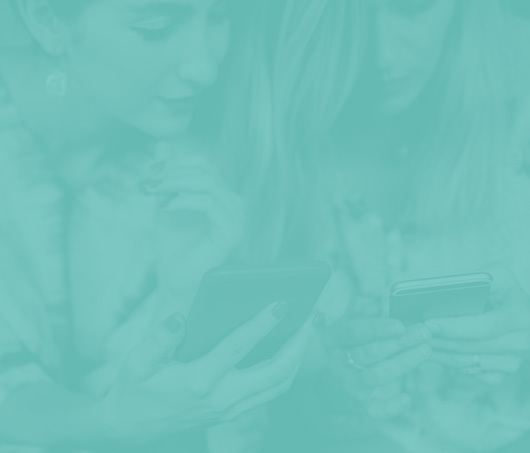 To create a new B2C eCommerce experience that expanded a global business from a B2B only market, creating a scalable site to allow their customer base to grow and become a key player in the retail market. A main focus area for Bearmach was branding. 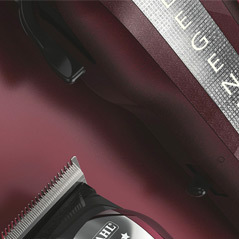 We needed to bring the brand up to date and be in keeping with their brand message. We transformed their logo, introduced new brand guidelines and a fresh set of brand elements. A new eCommerce platform built on Magento 1, specifically designed for the B2C market. Focusing on a complete new UX, their large catalogue of products needed to be simplified when it came to identifying parts for specific Land Rover models. This was achieved by introducing a basic nav, identifiable categories, and the ability to shop by model. "We have found Big Eye Deers to be the perfect partner in supporting Bearmach from initial concept phase through to project delivery. We have remained with the team after launch and they have offered us ongoing support and development to allow us to grow website sales." We used design and UX to create clear routes of navigation for customers to easily navigate 18K+ skus to find the right part. This also needed to be backed up with clear access to customer services, giving customers confidence in ordering the correct part for their vehicle. Where others had failed we were able to develop a link between Magento and Bearmach’s bespoke in-house systems. We were able to provide fully automated product listing, inventory and pricing synchronisation from data within Bearmach’s systems. A two-way communication of order and shipment data also keeps the fulfillment process running smoothly. With such a diverse product catalog and various different couriers fulfilling orders worldwide, cost calculations are anything but simple. 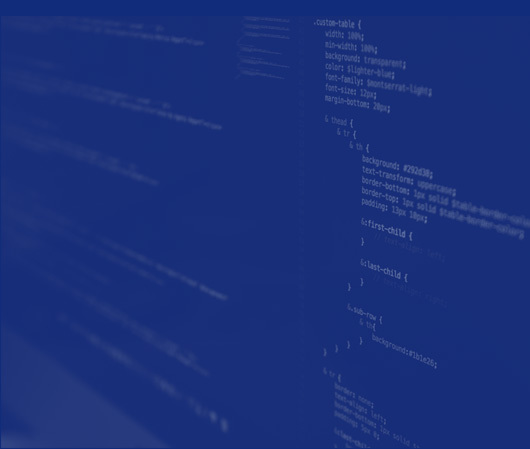 We combined existing shipping extensions with our own custom functionality to hide these complexities from the user while maintaining accurate costs for Bearmach. 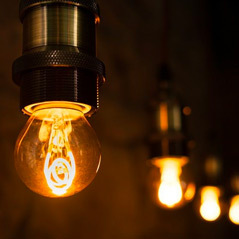 This operates in tandem with a bespoke Select 4 Collect shipping extension, utilising Bearmach’s existing customer base, giving businesses the opportunity to earn commission by becoming a collection point for B2C orders. Since the release of their Magento site, Bearmach have continued to be proactive in the development of their brand, with ongoing support from the Big Eye Deers team. 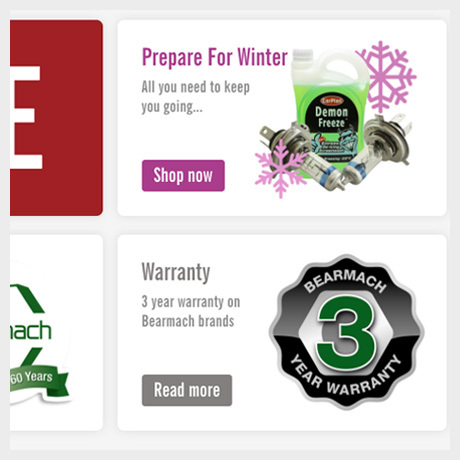 They have continued to evolve their user journey to make it easier to shop with Bearmach worldwide.